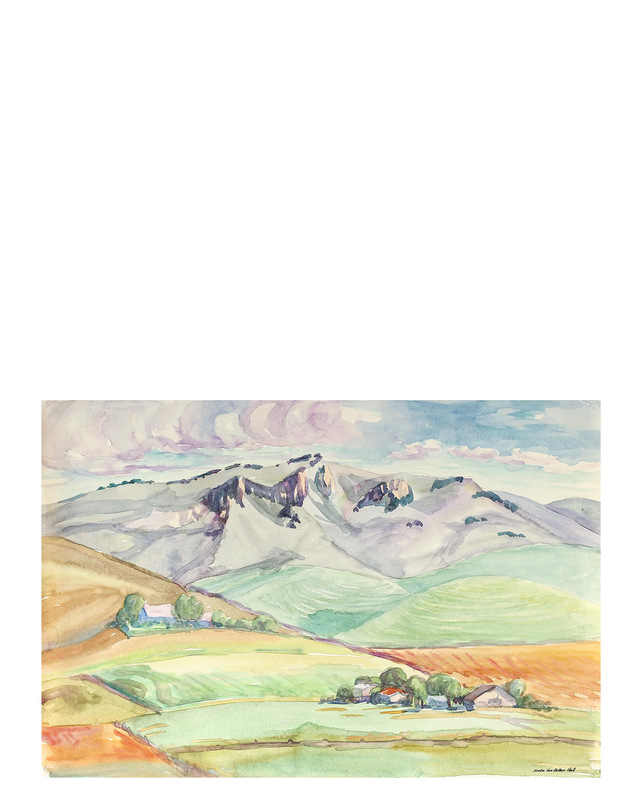 "Purple Mountains & Rolling Hills" by Sadie Hall&quot;Purple Mountains &amp; Rolling Hills&quot; by Sadie Hall, alt="&quot;Purple Mountains &amp; Rolling Hills&quot; by Sadie Hall, "
This mid 20th century Bay Area landscape watercolor on paper is by California artist Sadie Van Patten Hall (1884-1967). Starting in 1914, Hall spent most of her time in California and was a resident of Long Beach from 1915-20 and Vallejo in 1930. 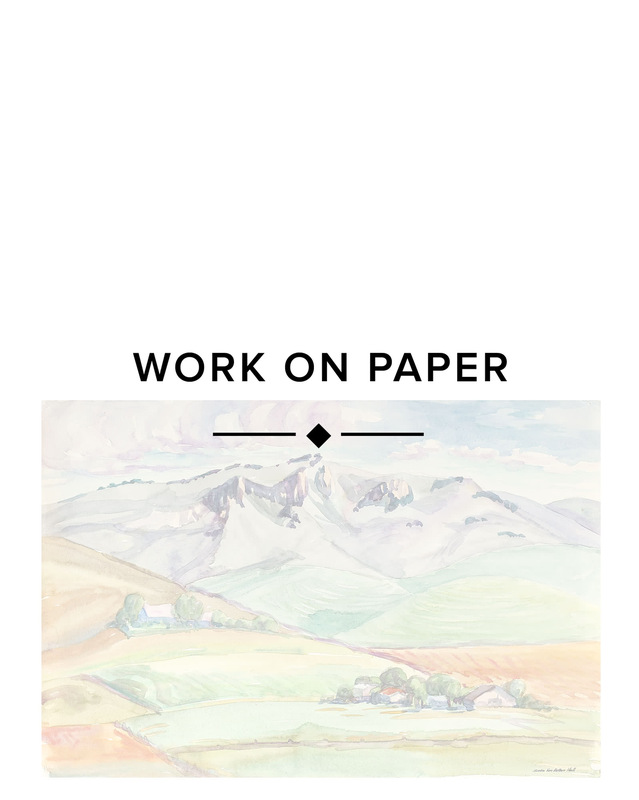 She is known for her watercolor on paper scenes. Unframed. This piece will be shipped in a mat to fit a standard sized frame. Overall Dimensions: 17.75" x 12"